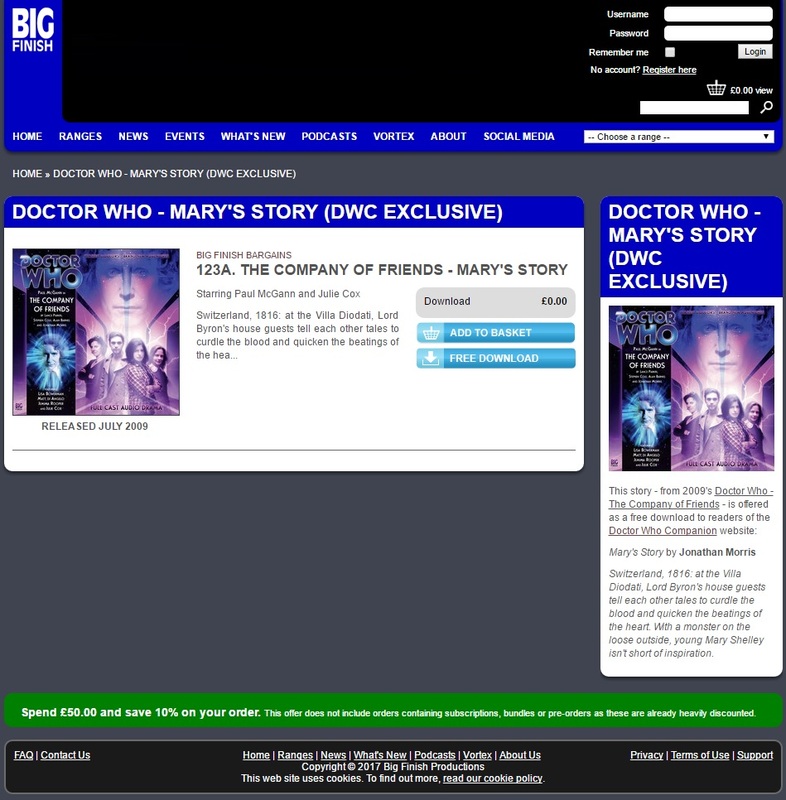 EXCLUSIVE OFFER: Your Last Chance to Get Mary’s Story Free! 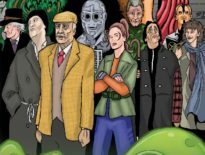 Big Finish Week is drawing to a close (though of course, we’ll always continue to cover the company’s various releases), and that means you’ve only got until tonight to download Mary’s Story, completely free! You don’t even need a Big Finish account to take advantage of this offer. Switzerland, 1816: at the Villa Diodati, Lord Byron’s house guests tell each other tales to curdle the blood and quicken the beatings of the heart. With a monster on the loose outside, young Mary Shelley isn’t short of inspiration. 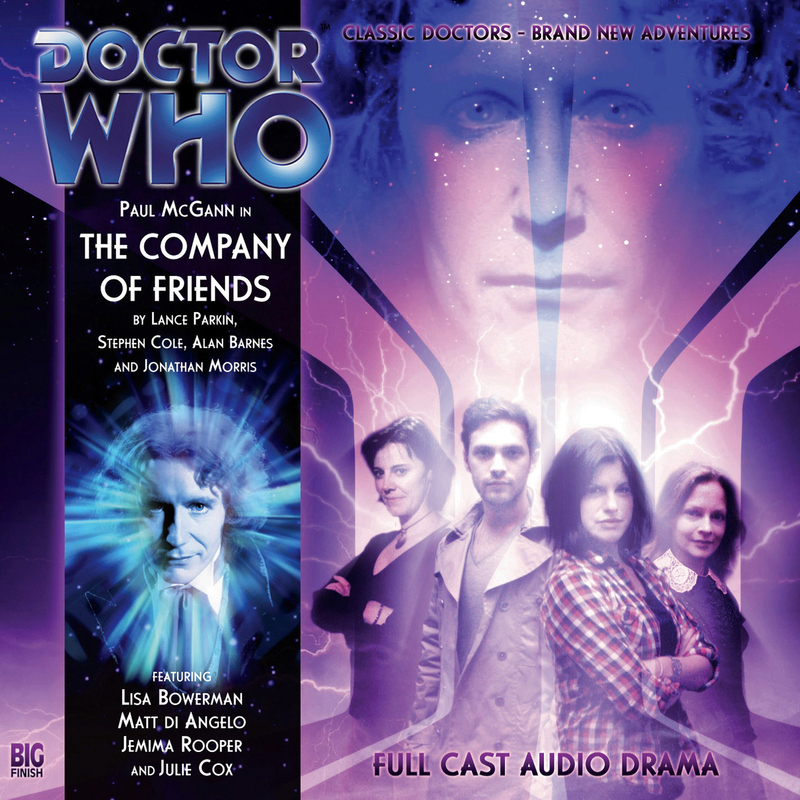 Clicking on “DOWNLOAD MP3”, Mary’s Story will then download onto your computer as “123-Doctor-Who-The-Company-of-Friends-Marys-Story”. Our exclusive offer is valid until the end of Sunday 26th February 2017. Yes, that’s tonight. 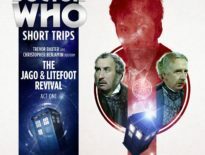 So click, enjoy, and join us in thanking Big Finish for this exclusive download!